“Community is the cornerstone of the health system and the basis for its resilience,” said Dr. Rikerdy Frederic of USAID’s Services de Santé de Qualité pour Haiti (SSQH) program. “Working with communities [and] using their own resources to find sustainable solutions to healthcare issues they have identified themselves,” is critical to building a resilient system, said Frederic. In Haiti, SSQH implements a community mobilization model called the Community Action Cycle to support communities in taking ownership over responding to their own needs. When the earthquake shook Haiti in 2010, people responded by getting back on their feet and rebuilding their country. “[People] want to take their life in their hands,” said Frederic. In Liberia, “we try to empower our community to take the lead,” said Dalton. Originally founded to address sexual and gender-based violence, THINK Liberia found itself at the forefront of the Ebola epidemic in 2014, when prompted to join the emergency response by members of the community. “We had young women and girls come by and say ‘we need to do something’,” said Dalton. 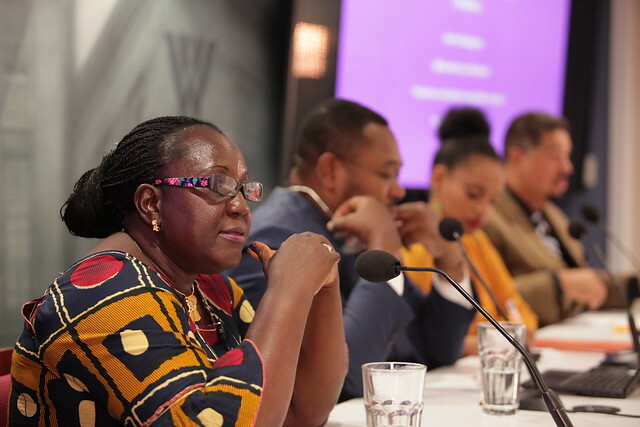 “A health system, properly understood, is not just a health delivery system, but also a community system,” said Etobssie Wako, the technical advisor for sexual and reproductive health and rights at CARE. As the community is at the center of the system, the “full participation, insight, and support” of the community is essential to building a health system able to withstand the shocks and stressors of crises, she said. “Sixty percent of all maternal deaths take place in humanitarian crises,” said Wako. Women and girls are often the most vulnerable in times of crisis, and their lives the most disproportionately impacted by the conditions and drivers of risk that deter resilience. “Unequal social and gender norms that constrain women and girls’ ability to access information, services, and [the] supplies they need to make reproductive health decisions and exercise their rights,” are one of the major underlying drivers of risk rooted within communities. “Gender discrimination means women [even] experience poverty differently, with fewer resources to cope,” in everyday life, she said. In Ethiopia, CARE worked to change gender norms and improve the health outcomes for child brides through its TESFA project. Despite being among the most vulnerable, “women are also the sources of power and resilience and change” for their communities, said Wako. We need to “lift up those underrepresented voices” within communities, to hear what is needed prior to intervention, said Christine Galavotti, the senior director of sexual and reproductive health and rights at CARE. We need to “partner with those who are the most impacted in shaping and naming their solutions,” Wako added. 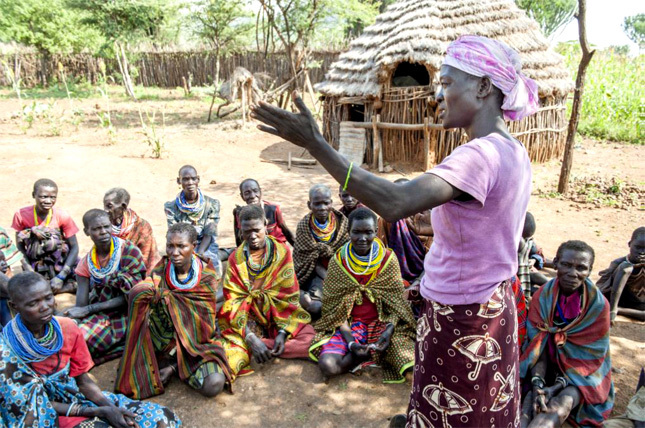 An effective, responsive, and resilient health system requires informed, empowered communities and equipped, empowered health providers—and dialogue and trust between them, she said. Processes and systems that build trust and accountability such as the Community Score Card enable collaboration across systems and communities. In 2010, when agencies rushed to respond to the cholera outbreak in Haiti, donors launched a public information campaign and erected treatment centers without input from the community, said Wako. Local communities burned part of a treatment center to the ground due to the lack of trust in the emergency responders, and at the brunt of misconception that the treatment centers were the sources of the disease. Photo Credit: Community reconciliation meeting in East Africa, December 2012, courtesy of Pact/Aernout Zevenbergen.